every holiday season i make christmas sugar cookies & gingerbread men. it is a tradition that started many years ago with my family. this year i wanted to do something a little different with my usual gingerbread recipe: matcha. the ginger works so well with aiya's matcha powder. i absolutely loved how these turned out. 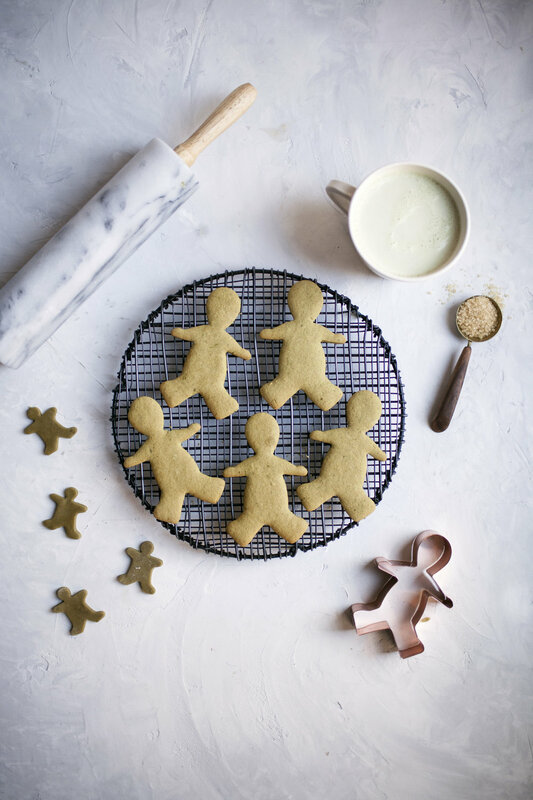 anyways, get the recipe below for matcha gingerbread men cookies! 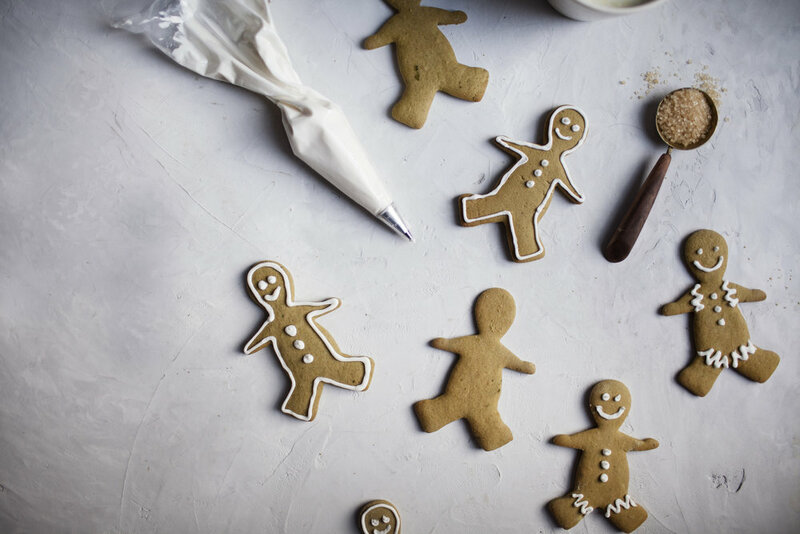 the not so classic christmas cookie recipe to bring to your next cookie exchange! in the bowl of a standmixer with the paddle attachment, cream butter & brown sugar. add honey, egg, vanilla & matcha powder. beat until ingredients are well blended. in a separate mixing bowl sift baking soda, cinnamon, ginger, nutmeg, cloves, salt & flour. add the dry ingredients to the wet ingredients. beat until the dough comes together. turn out onto a floured surface & shape into a disk. wrap in plastic wrap & refrigerate for two hours or overnight. roll out dough to approximately a 1/4 inch thick. cut into desired size gingerbread men. bake at 350 degrees until the gingerbread begin to puff & the edges very slightly brown. let cool before frosting. frost as desired with royal icing. desired using a ziplock bag or frosting tip!